Elevated between 7054 ft and 10197 ft, the Ski Resort is among the 10 highest elevated Ski Resorts in Austria. The vertical drop from summit to base is 3143 ft. The average difference in altitude between base and summit of Ski Resorts in Austria is 2388 ft. Most runs are therefore relatively long. Season starts on Sep 29 and ends on May 12 (225 days). Average season duration in Austria is 114 days. Average snow depth during the season (Sep 29 to May 12) is 80 " at summit elevation and 54 " at base elevation. Snow coverage is usually best during February, offering an average snow depth of 121 " at summit elevation and 90 " at the base. 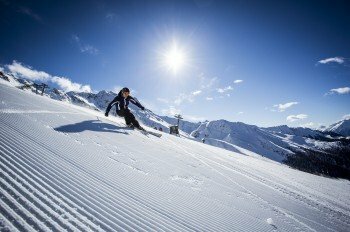 Therefore Kaunertaler Gletscher is among the 10 ski Resorts with best snow conditions in Austria. Kaunertaler Gletscher features 119 sunny days on average per season. 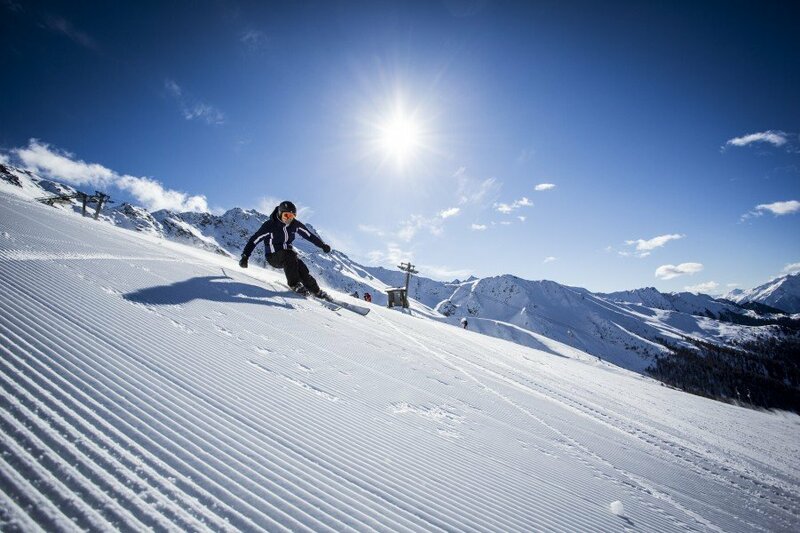 The average for all ski Resorts in Austria is 103 sunny days. April is the sunniest month with an average of 23 sunny days. The Kaunertaler Gletscher is located at the foot of the mountain Weißseespitze (3535m) and provides 20 kilometers of trails. Leaving from Feichten, follow the curvy street to the parking lot that belongs to the Ochsenalm. Now you can either take one of the two chair lifts or you follow the street until you get to the glacier restaurant, at an altitude of 2750 meters. Enjoy the luxury of choosing between many spacious glacier trails. The slopes at Falginjoch (No. 1, 2, 12 and 13) are considered to be ideal for beginners, use the railway Weißseefernerbahnen to get to these trails. Youngsters will enjoy the kids park close to the glacier restaurant with its conveyor lift. Here the little ones learn playfully to ski. Furthermore you will find a playground that will delight all children with swings, trampoline and a climbing wall. An other plus, to be easy on your household budget, the lift tickets for kids under 10 are free for the whole area. The Nörderjoch lifts serve more blue runs (Nr. 7, 8, 11), but be careful, despite the fact that these are marked blue, some steep sections can be expected. There is also a great FIS- run. If you decide for the Karlesjochbahn, located on the right side of the glacier restaurant, it will bring you to the most challenging terrain at the Kaunertaler Gletscher, the only black run with a slope of 75%, also to an observation deck with a breathtaking view that you just can not miss while you are here. 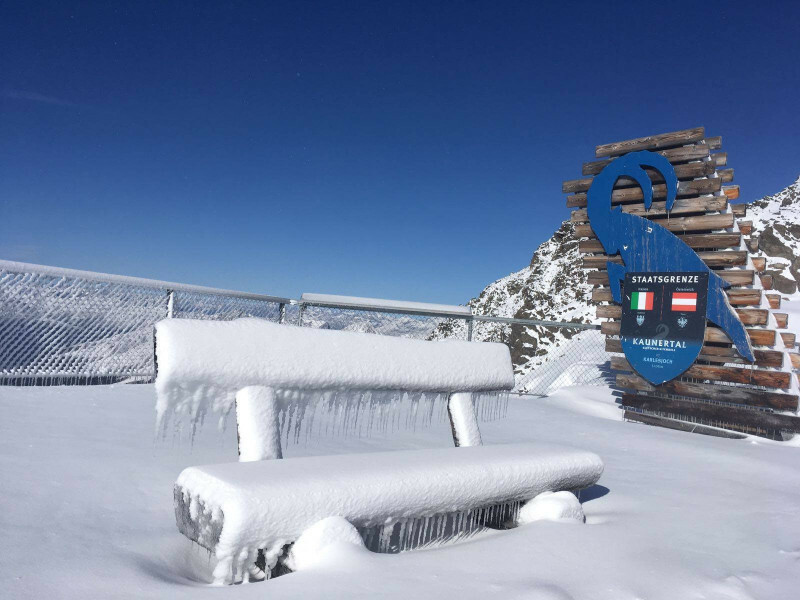 The name ´3-country view´ speaks for itself, you will enjoy a spectacular view over the Silvretta group, the Ortler in Italy and the Bermina group in Switzerland. The Kaunertaler Gletscher is considered a pioneer for Freestyle and did create the necessary infrastructure early. The snow park is close to the Nörderjoch I-lifts. Thanks to the drop of 2990 meters, the park invites well into the late spring. 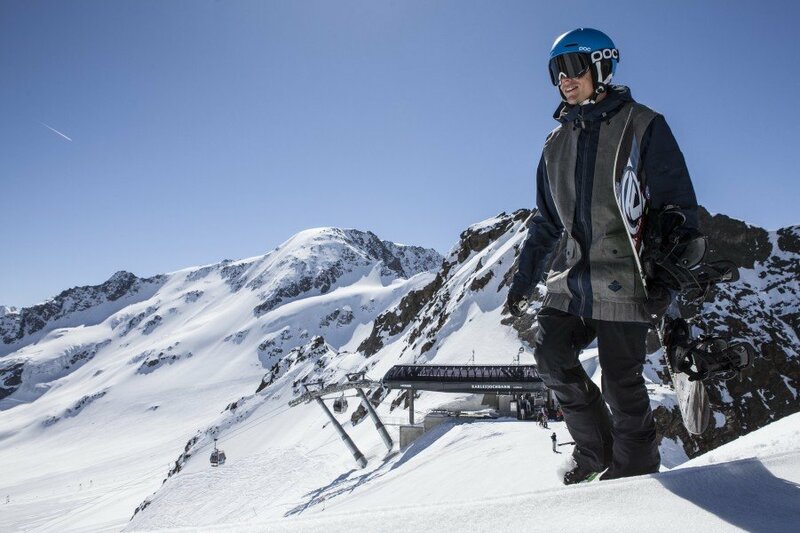 This park challenges skiers of every level and ability and features 20 different elements including a start funbox kicker, a flat-down combo picnic and gun pipe 6M. A highlight every year are the ´Spring Classics´, several weeks program of barbecues, contests and countless events. The Kaunertaler Gletscher has a great reputation amongst Freeriders and is a real insiders´ tip. Because of its altitude you always have enough powdery snow and you will find numerous untracked trails. A total of 30 kilometers untouched slopes expects you and offers different variations. As part of the project ´Check your Line´, there are many info-boards displaying information of dangers that this sport keeps and provide important notes on proper behavior in the back country. Therefore it has the best conditions for Freeride beginners. Two mountain restaurants cater to your appetite at the Kaunertaler Gletscher. The glacier restaurant ´Weißsee´ is situated in the heart of the area. Choose from the self-service cafeteria between Tyrol specialties and international meals. ´Weißsee´ gives guests a large sun deck where they can wind down their day and recharge their battery. You will find the ´Ochsenalm´ at the beginning of the area. It became a new outfit in the season of 2013/ 14 and offers a menu that is just perfect for a little snack in between and also provides a fantastic and sunny terrace. 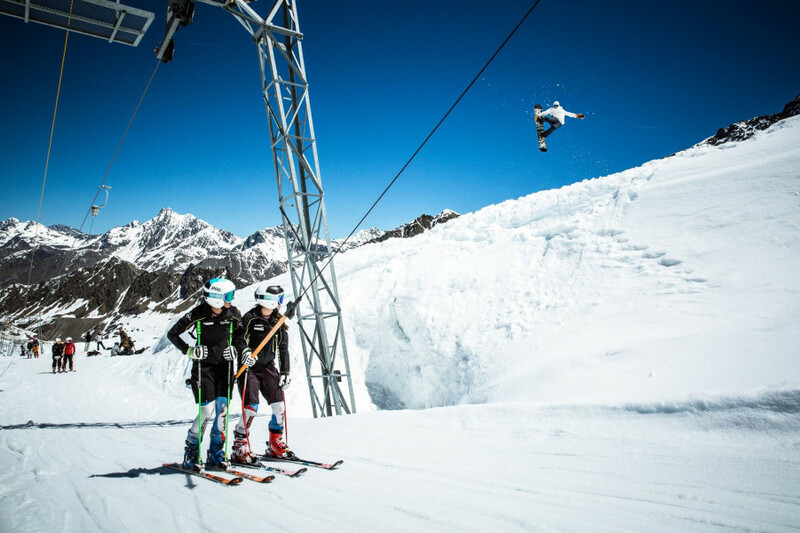 The black run ´Karlesjoch 3´ represents a real challenge and gets the adrenaline in every skier going. 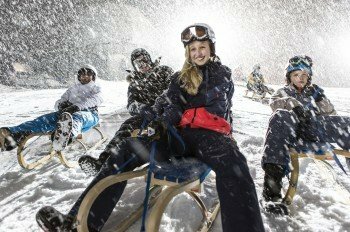 An additional winter activity is sledding, the tobbogan runs in Fendels (Length: 4,5 km) and Feichten (Length: 2 km) guarantee racy rides on the tobbogan run.All those prefering sauna and steam baths to loosen their muscles, look for the ´Kaunertaler Center´ in Feichten, it offers a wellness area and a great indoor pool. 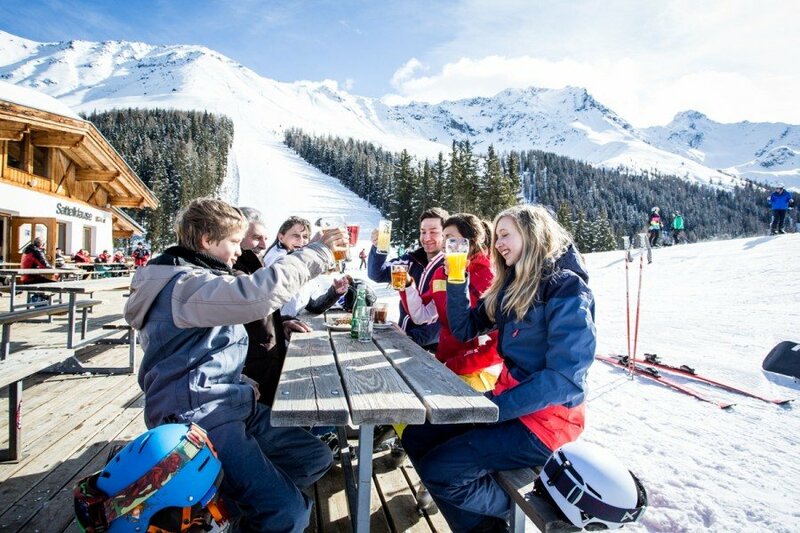 The bar ´Weißsee´ on the sun deck of the glacier restaurant ensures a fantastic apres ski atmosphere. Just before Feichten invites a glacier cave to enjoy the evening after a successful ski day. The party continuous throughout the night at the ´Pfiff Alm´ and the ´Zappa Dello´ in Feichten. If you love to get spoiled with Tyrol and game specialties the 'Tiroler Stube' at the Hotel 'Gletscherhof' in Feichten is the right address for you. The Hotel 'Feichtnerhof' also serves local dishes- every night the guests can choose between various menu options. 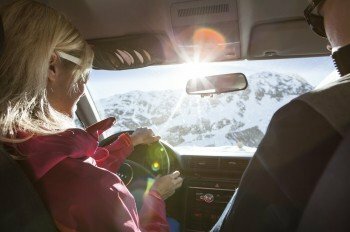 To get to the Kaunertal, leave the A12 at Landeck. Alternatively coming from Germany passing Füssen on B 179 or drive through Garmisch on B 187 to Nassereith. Continue to Imst and Landeck. Take the Landeck tunnel to Prutz. Turn onto street Kaunertal Landesstrasse and drive to Feichten. After Feichten you will get on the street Kaunertal Gletscherstrasse, usually a toll road, but the fee does not apply for skiers. After 29 kilometers you reach the parking lot at the glacier restaurant. Coming by train, choose the destination station Landeck. Take a bus to the ski area. The closest airport is Innsbruck.